Your perfect hair color is one that’s personalized to you. Your stylist can work with you to elevate and illuminate your natural beauty. When looking to add shine, dimension and texture to your hair our team of color experts will customize a personalized formula just for you. Whether you want your tresses to be lighter and brighter or darker and richer, our colorists offer a wide range of services that will achieve your desired look from single process, glosses, balayage highlights and lowlights, foils, and color corrections. Wild Orchid Salon provides its stylist team with extensive in-salon education on a monthly basis provided by Master Educators from Goldwell, Oribe, Brazilian Blowout and others ranging from specialized services like balayage to the latest trends. Our stylists also travel throughout the year seeking the best education available through Sassoon, Oribe and Goldwell studios in New York, Los Angles and Miami. With years of experience and a loyal following of clientele our colorists can be trusted to deliver color perfection. Discover Goldwell's Couture Color Services and be inspired by the most luxury hair beauty experience. Each service uses superior products and is dedicated to the craft of exquisite, personalized color for a look as unique as you. Luxurious signature colors elevate and illuminate the natural beauty of you by embodying color perfection in an expansive world of signature looks. A revelation of exquisite details, through subtle nuances of alluring light and breathtaking color contrasts. Experiment with trend-driven signature colors that offer an endless canvas for self-expression. Embrace artistic plays between bold, edgy tones and enticing subtle shading. A creative world of high-fashion, head-turning looks designed to channel your personal fashion statement. Balayage is a French word meaning to sweep or to paint. It allows for a sun-kissed natural looking hair color – similar to what nature gives us as children – with softer, less noticeable new growth lines. The principal idea being less is more when creating soft, natural looks. Balayage is a freehand technique where the color is applied by hand rather than using the traditional foiling or cap highlighting techniques. Balayage can be used in even the shortest pixie crop however the best results are in hair below the shoulders. Wild Orchid Salon requires all stylists to complete a certification process prior to being available to perform the service. We have developed a reputations as one of Austin’s Best Balayage salons but don’t just take our word for it, go to Yelp and search “Balayage” in Austin, TX. One of the big draws to Balayage is the low maintenance factor. People want to look fashionable and feel good about their appearance but in this day and age we don’t all have the time to be in the salon every four weeks for a root touch up. It’s also a very economical way to color your hair, as you never have a solid demarcation line or regrowth, so if you can’t afford to get it done for another month it won’t look atrocious. However, if your Balayage isn’t done correctly you can end up with excessive overlapping that can cause damage. The process varies depending on the length of the hair and the desired result. You can expect to have individual strands colored with a brush and a backing board. Some colorists like to separate their sections with plastic wrap while others tease the hair in sections first then freehand color the ends. We find that our Balayage clients are going for different looks and need to maintain it at different rates. With some clients it may take more than one appointment to really build up the color initially. These appointments are spaced 6-8 weeks apart. From there you could go up to four months without having more Balayage. You may just need to come in for a toner and a treatment to freshen up the color in between appointments. 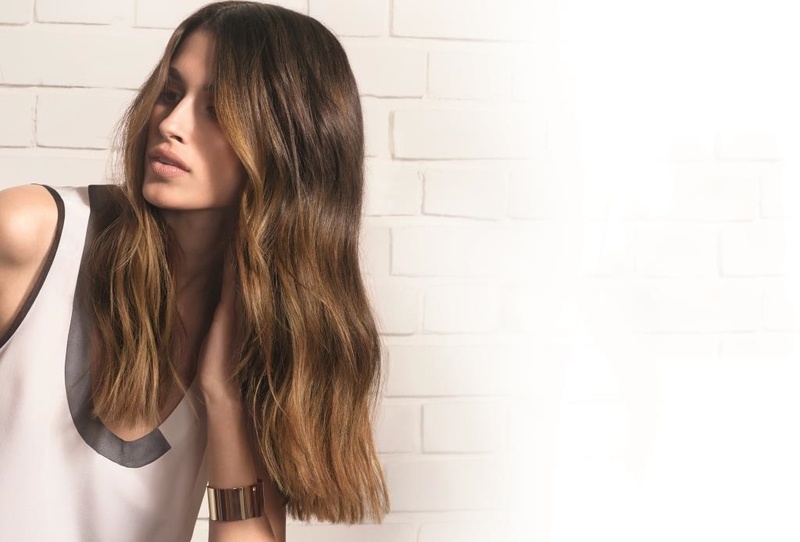 Not sure if Balayage is right for you? Feel free to book a free color consultation or just book the balayage service of your choice and after a consultation you and your stylist can decide if balayage or traditional foil highlights are best for you!